I had never heard of these creatures before. A couple of days back when I learnt about them, I was totally fascinated. Psuedoscorpions are teeny tiny bugs that look a lot like scorpions. They are also popularly known as false scorpions or book scorpions. False because they aren’t really scorpions, and they don’t even have stingers like scorpions do. They do have those scorpion like claws. Book scorpions because they are often found in old dusty books. Psuedoscorpions are very tiny. They are about one tenth of an inch long. Here’s is a comparison of it with a thumbnail. They are found all over the world, and yet they aren’t seen around a lot because they are pretty secretive creatures. 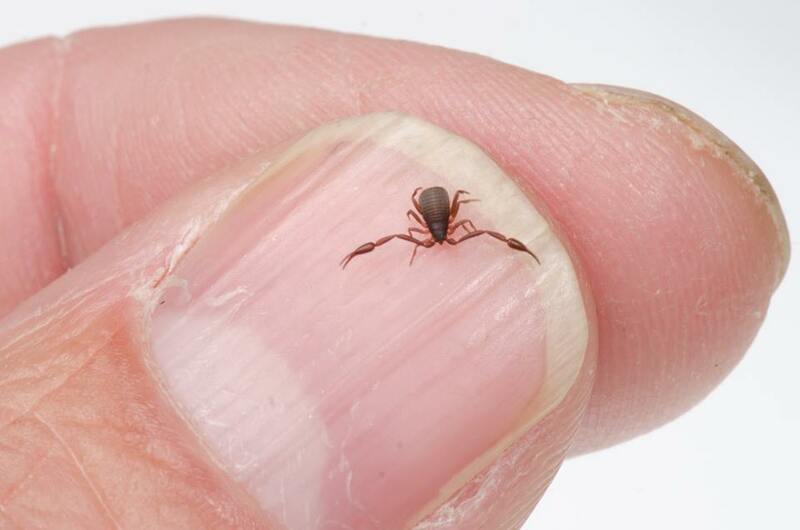 Other times when people do see them, they usually mistake them for a small spiders or ticks. If you happen to see one, don’t be scared because of their scorpion sounding name. They are harmless. Nor do they destroy any of your stuff. More about it in the video below.